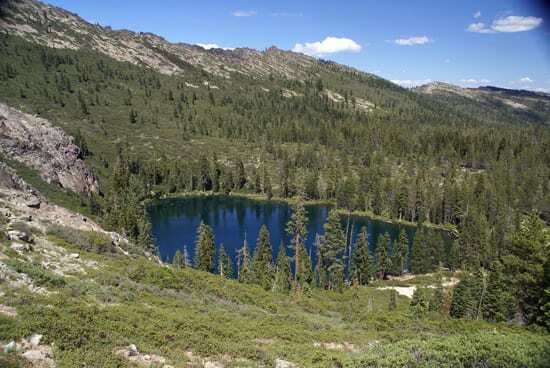 The Mount Shasta Trail Association invites the public to join them on a spectacular hike along the Pacific Crest Trail ridge overlooking the pristine lakes of Seven Lakes Basin as well as Mumbo Basin. The hike is scheduled for Saturday, July 14th. The hike will go from above Gumboot Lake to Echo Lake and Helen Lake. This gentle to moderate 6-mile roundtrip walk has superb long-range vistas in all directions. Participants will be able to see panoramas of the Trinity Alps, Trinity Divide, Mt. Shasta, Mt. Eddy, Lassen Peak, Magee Peak, Burney Mountain as well as the granite cliffs of the Castle Crags. Meeting place is 111 Morgan Way, the street in front of the Best Western Treehouse in Mt Shasta. Meet at 9:00 am where participants will form carpools. Bring lunch and water, sun protection and a bathing suit for a refreshing swim. Expect to be back by 3:00 pm. For more information, call Joan Roemer at 926-0647.